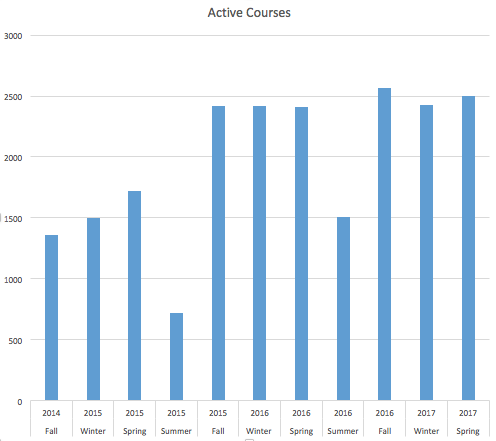 Each quarter, we post the number of active courses in Canvas. In Spring 2017, there were 2,498 published courses at Northwestern. Faculty Support Services wishes you all a safe and happy summer! Please see our workshop schedule – we’ll be here all summer and available to help you.